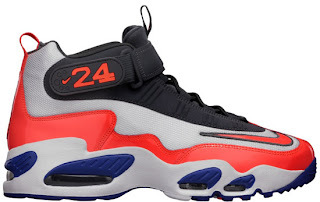 The Nike Air Griffey Max 1 returns this weekend with an all new colorway. With baseball season now in full swing, the Nike Air Griffey Max 1 is set to make another return. 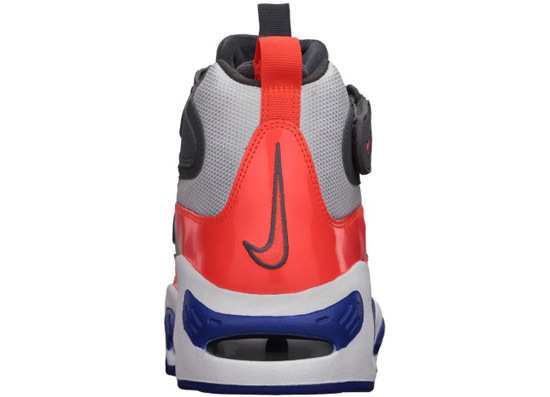 First up, this all new colorway being called the "New York Mets" edition. Coming in a white, total crimson, hyper blue and white. They feature a grey, white and crimson based upper with hyper blue accents. A general release, they will be available at select Nike accounts worldwide on Saturday, April 13th, 2013. Retail is set at $150 for men's sizes and, they will also be available in full family sizing, down to toddler. Enjoy the official images below of the "New York Mets" Nike Air Griffey Max 1 in white, total crimson, hyper blue and white. Those of you interested in picking these up when they release should check in with their local spots to see if they will be receiving them. If you're looking to lock down a pair now, you can click here to buy them on eBay.